BHUBANESWAR: The State Government has issued closure notices to seven Sanskrit colleges across the State basing on shortcomings pointed out by a special inspection team. Apparently, six colleges do not exist at the locations mentioned as their permanent addresses while one lacking sufficient infrastructure, saw zero enrolment last year. The number of colleges offering Plus Two and Plus Three courses in different parts of the State have mushroomed over the years though the demand for degrees in Sanskrit remained constant. The colleges which come up with temporary recognition, neither have permanent buildings nor quality teachers. 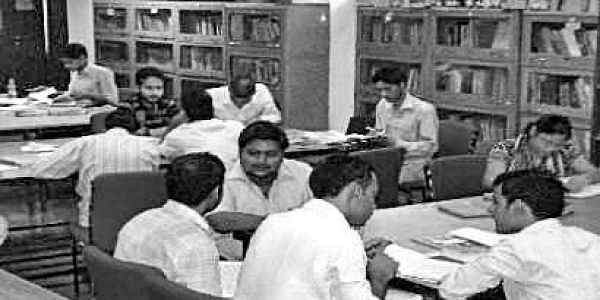 The colleges that were found nonexistent this year are Kusumarani Sanskrit Mahavidyalaya in Bari block of Jajpur, Purnananda Patnaik Evening Sanskrit College in Mahanga block of Cuttack; Maa Mangala Sanskrit College in Nimapara block, Raghunath Sanskrit College in Kanas block, Sarat Chandra Sanskrit College at Kanas block and Shankar Baba Sanskrit College in Kakatpur block - all in Puri district. The colleges had reportedly mentioned in the Students’ Academic Management System (SAMS) of Higher Education Department that they have been functioning for over six years and offered subjects such as sahitya, vyakarana, darshan, English, Odia, history, political science and education with an intake of 64 students each in Plus Two (Shastri) and Plus Three (Upashastri). However, a ground inspection by the team revealed that none of the colleges existed in the permanent address that they stated during availing temporary recognition from the State Government. In 2016-17 academic year, each of these colleges except Sarat Chandra College enrolled 30 to 40 students in Upashastri course and around 25 students in Shastri courses except Raghunath Sanskrit College that enrolled 52 students. Another college, Anchalika Sanskrit College in Marshaghai block of Kendrapara district, witnessed zero enrollment in Upashastri course in the last academic year. The School and Mass Education Department, which is now looking into management of junior colleges including Sanskrit, has recently directed the Regional Director of Education, Bhubaneswar to delink these colleges from e-admission process. Almost all the districts have Sanskrit colleges, with the highest number of 30 in Kendrapara, followed by 23 in Balasore, 21 in Jajpur, 16 in Puri, 15 in Bhadrak and 12 in Jagatsinghpur. According to reports, there are 217 Sanskrit colleges in the State, of while only 47 have got permanent affiliation and 95 have received Government recognition. The remaining colleges run on temporary permission, which has to be renewed every year. However, most colleges continue to operate despite being denied permission for affiliation from the universities.